With Victor Frankenstein in UK cinemas this week we’ve got 4 sets of fantastic merchandise to giveaway! 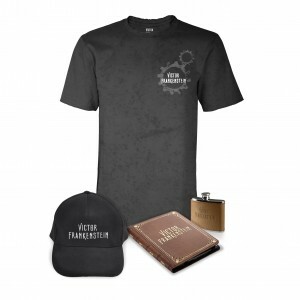 Each Victor Frankenstein merchandise pack includes a cap, a tablet case, a T-Shirt (Lg) and hip flask. For a chance to win just enter via our competition app below. The competition ends at 23:59 on 14 December 2015. The prize consists of a Victor Frankenstein merchandise set including a cap, a tablet case, a T-Shirt (Lg) and hip flask. Competition: Win Debug on Blu-ray!